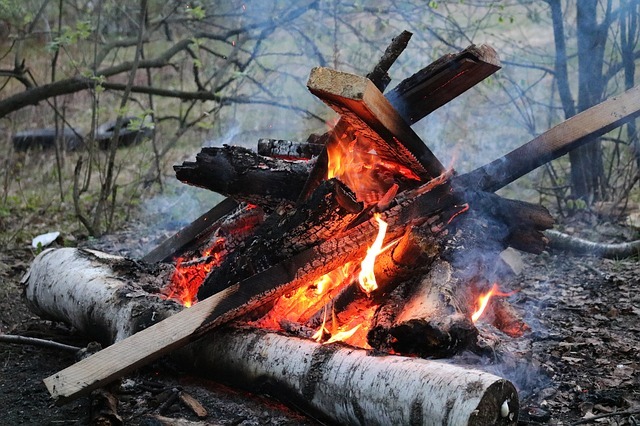 Now most people – preppers and non-preppers alike – automatically assume that burning firewood is one of the easiest things you can do to survive. After all, what’s there to know? All wood is the same, right? 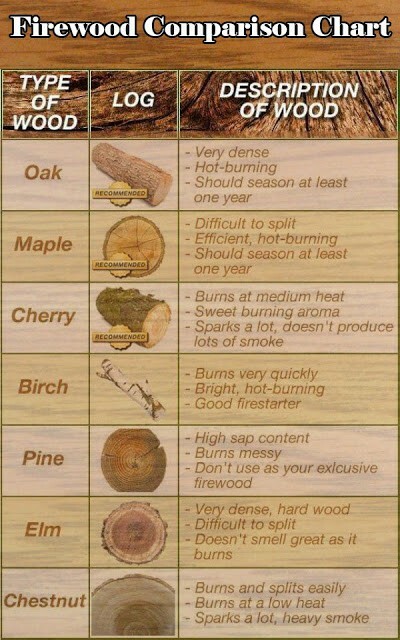 The more you know about the different types of firewood, the more you can prevent disastrous mistakes from happening. Because if you choose the wrong type of wood, it might do more than just not burn correctly – it might even be hazardous to your health. This blog is perfect for if you’re preparing for disaster or just camping in the great outdoors. Did anyone ever teach you the Firewood poem? If not, you’re missing out on some imperative information about which firewood to use for firewood, and which to just let be. P.S: Now that you know all this, want to learn how to make a fire that lasts all night long – without you having to feed it? Click here to learn this awesome secret! Many preppers think all wood is the same. I mean, they’re logs, so they’re all hard, right? Believe it or not, there are soft types and hard types, each with their own abilities. Softwoods: Cheap and largely available. Burn very quickly. Not recommended for survival situations or camping. Example: Pine. Softer Hardwoods: Best for small, simple fires like at home in your fireplace. Examples include: Red Maple, Birch, Poplar, Cottonwood. Hardwoods: Produce long, hot, lingering fires. Recommended for survival situations. Examples include: Oak, Black Maple, Hickory, Locust. “Seasoned” is a term used to describe wood that has been completely dried. It is imperative that you use seasoned wood to start your fire; otherwise, the logs will have a hard time burning, and they’ll be quick to smoke and smolder. They’ll also give off little to no heat. Seasoned logs are noticeably lighter than wet logs. They contain cracks on the sides. They turn grey, yellow or dark brown as they dry (Wet wood is often light brown or cream-colored). Softwoods need about half a year to a year to season; hard woods need one to two years to season completely. Before you attempt to start your fire, make sure to split your logs into halves or quarters. This will allow your fire to burn more easily and burn for a longer period of time than round logs. It’s also important to get the right measurements as you’re splitting the log. Each piece should be 6-8″ wide (or 3-6″ wide for fireplaces). A split log should be 16″ in length maximum (or 16″ long for fireplaces). If you’re paying for firewood, the same basic measurements apply (listed in #5). However, there’s a trick to getting your money’s worth. When purchasing firewood, make sure to always buy them in a stack, laying flat across each other in one single direction. Otherwise, if they’re stacked “log-cabin” style you’ll likely be getting less for your money. Do NOT keep firewood inside your home or bug out shelter! This might seem like a good idea since you’re keeping it out of the rain, but if there’s ants, termites or any other insect on those logs, you’re immediately giving them a free invitation into your home. Be sure to stack your logs with the bark side facing up. This is because bark provides a natural barrier from the elements, and will help stop the rain from completely soaking the wood. It’s also important to stack your wood above the ground to allow for proper ventilation under and around the wood. You can do this by stacking the logs on top of a pallet or rack, or on top of thin, long logs running the opposite direction. It’s also crucial to store your logs under a completely covered area, like in a shed. However, if you’re bugging out or camping and don’t have access to a shed, place a large tarp over the stack. Weigh down three of the sides with rocks and leave the fourth side open for ventilation. When it’s finally time to build your fire, it’s important to look all over the log carefully before you add it to the stack. Otherwise, if you just blindly grab a piece, you could be met with whatever spider, snake, or other creature that decided to build its home there. One final word on cutting your own firewood; you typically can’t just drive off the paved road, cut any tree down and take it home with you. You need to have a permit in order to cut down a tree (permits can be obtained with your local Forest Service). Otherwise, when your local Forest Service patrols the forest and finds you don’t have a permit, you’ll be in a heap of trouble. Another note worth mentioning is that permits still prevent you from cutting down certain types of trees in your area (these can differ by region) so it’s important you know which trees you can cut down vs. which ones you can’t. Otherwise, you could get hit with some hefty fines or other ramifications. Isn’t that crazy?! It’s insane how important firewood is, and how many specifics there are to remember about how to get the most bang for your buck out of each piece. However, our job here at Survival Frog is to help make things simple and easy for you as you prepare for your next camping trip or bug out situation. That’s why I want to introduce you to two survival tools that will make your fire building experience infinitely easier: our Tesla USB Double Arc Electric Lighter and our 4 gallon Bucket of Wise Fire. First off, our Tesla USB Lighter is probably one of the most ingenious survival tools I’ve ever seen. Not only is this weather-resistant lighter insanely easy to use (simply hold the button and it ignites), but when fully charged, it allows for 300 sparks – about 100 more than most of its competition! It also emits a double arc of purple electricity, which is just as cool looking as it is functional. This is the perfect lighter for showing off to your friends AND getting a fire started with ease in a survival situation. 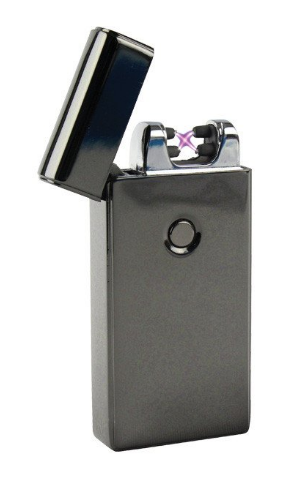 To grab this amazing lighter for yourself, click here or on the image below. 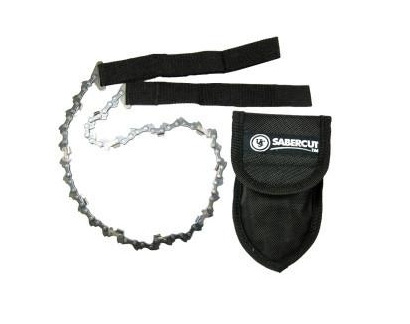 The second awesome survival tool I have to show you is the SaberCut chainsaw by UST. This incredible saw is actually a baby chainsaw that folds up and stores inside of your pack, pockets, or car. An incredible wood cutter of wood it’s easy to use and will help you wrangle up all kinds of wood in a hurry. 24″ long and just 4 oz. in weight it’s one of the most essential survival accessories you could ever own. You can learn more about it by following the link here or clicking on the picture and getting your own. This entry was posted in Camping, Outdoor Survival, Survival Hacks, Survival Skills, Videos, Wilderness Survival and tagged bug out, DIY, DIY Survival, fire, prepper hacks on October 10, 2016 by Survival Frog.